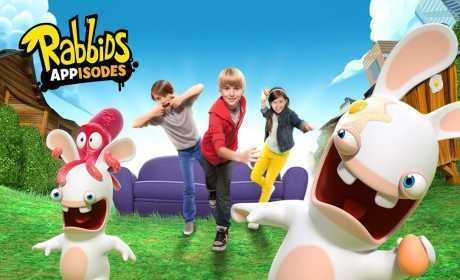 Rabbids Appisodes: The kids’ hit animated TV show is NOW INTERACTIVE! 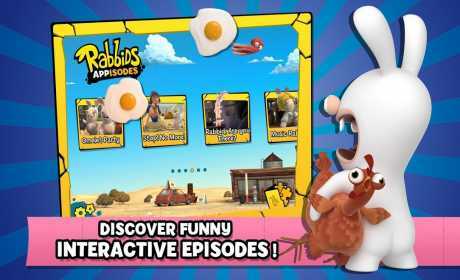 – DISCOVER 7 interactive appisodes based on the hit animated TV show Rabbids Invasion. 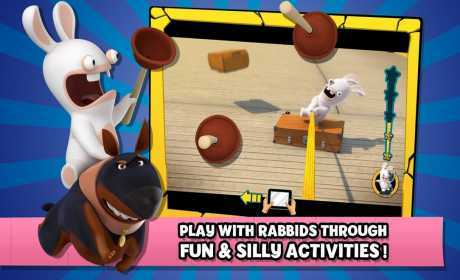 – WATCH, PLAY AND INTERACT with Rabbids in various mini-games. Tap to throw eggs, tilt your device to prevent Rabbids from falling down, swipe to hit them and scream the iconic BWAAAH! -FIND hidden objects in each appisode to increase your scoring. Even amid the Rabbids mayhem, stay focused during the entire appisode! or smartphone. You can even customize them with your stickers! The game is available in: English, French, German, Italian, Spanish, Russian and Simplified Chinese.